After finishing the Whispers Collection and all the secondary jobs of its promotion I was quite exhausted and began work on the Medieval Girdle Journal as a little break before the next big project. In early December I visited a childhood friend of mine with whom I’d lost touch over the years but recently met again and learned he’s become a potter of an extraordinary kind. 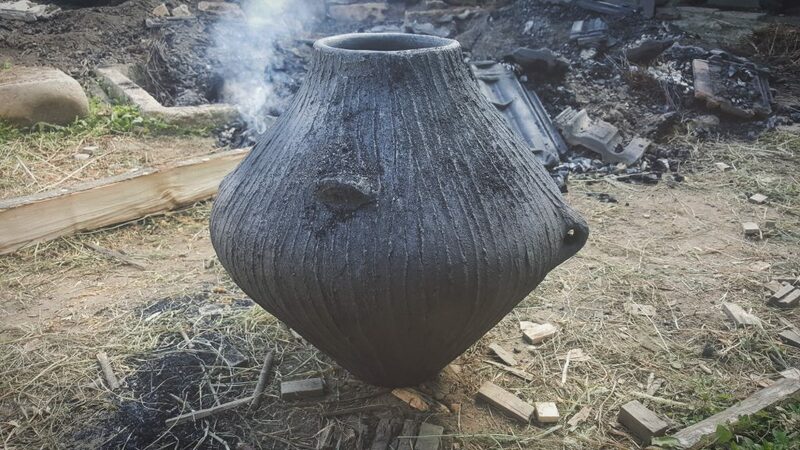 He began making pots, recreating ancient techniques and gradually adding his own artistic touch to the work. 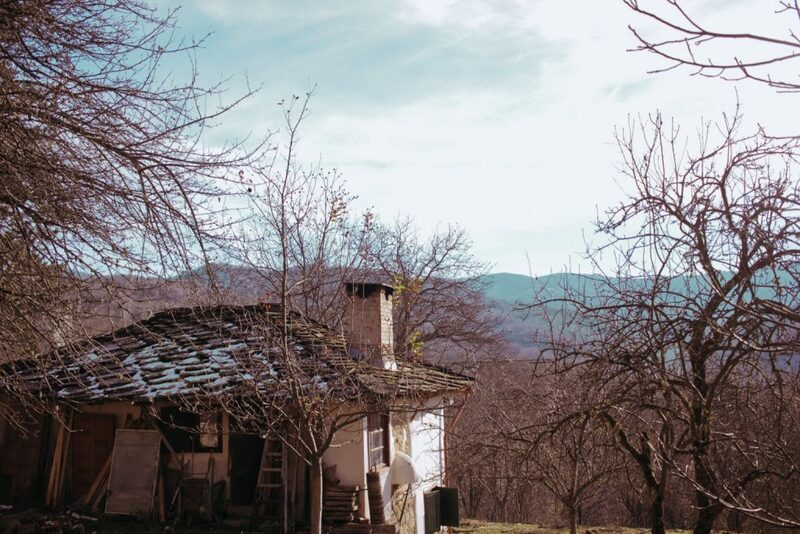 He invited me to his workshop in a family house, high in the Balkan Mountains. 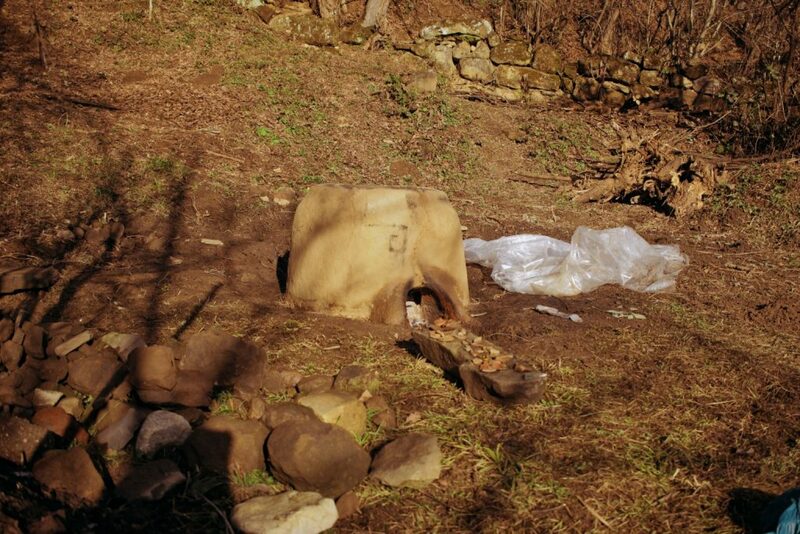 His small fire lit kiln. 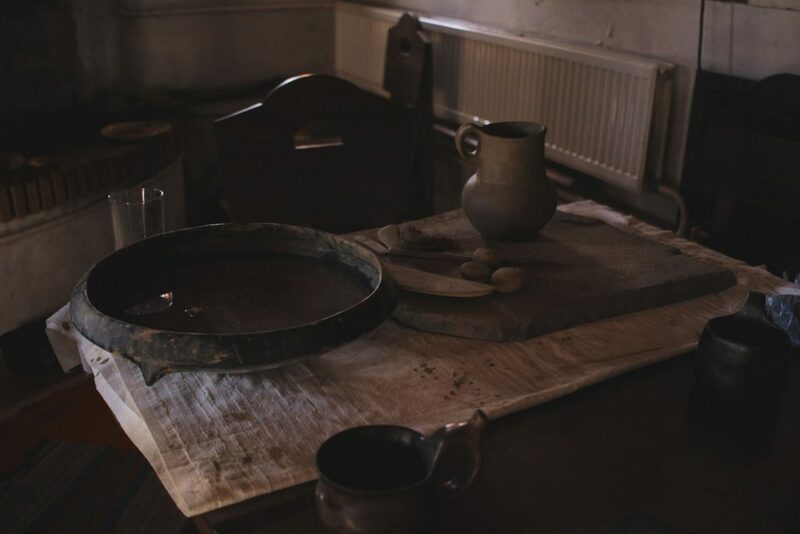 A work station inside of the house where he creates his pottery without a wheel. A scenic view of the house and mountain top. 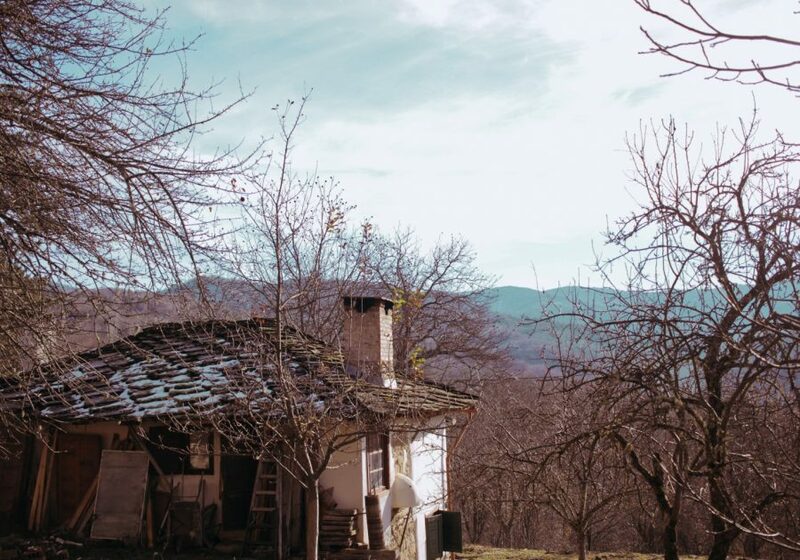 I stayed there for a few days, talking for hours about the recent and distant past, what means for each of us to be craftsmen and how we go about our work. We talked about how bookbinding is a relatively modern craft compared to pottery. He has the freedom to control every process from gathering and preparing the clay, to the conditions of the firing. A craft that pushes it’s maker to have a deep connection with his surroundings. Bookbinding in its current form relies on many other professions to exist. A whole bunch of tanners, tool and paper makers, thread spinners, gold beaters and so on need to exist in order for me to produce each of my books. If you have the time, have a look at his works on his Facebook Page. Every day I find it harder to draw inspiration just from bindings alone. After this meeting, pottery became a much needed distraction and source of inspiration. I was fascinated by the vast variety of forms and styles throughout different times and places. I was especially drawn to the strong aspect of freedom of expression. With every new style I discovered, I felt like I was going in the opposite direction of being caged by some limited ideas that had been growing in my head. I was really struggling with my ideas for decoration. For two weeks I was constantly sketching but ended up throwing away everything. At one point I was a bit afraid if I’ll ever be able to produce a good idea ever again. 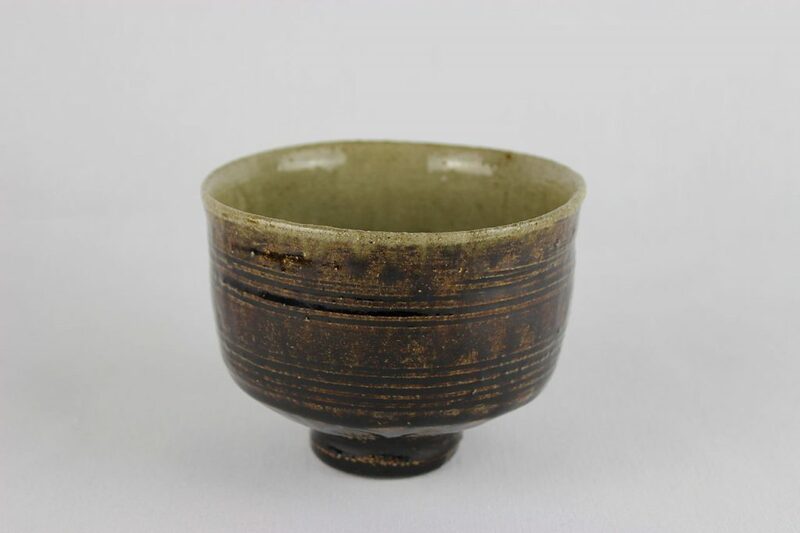 I just stopped and let myself go wild into my newfound interest in pottery. I started searching for documentaries and books on the topic. They led me to read a most fascinating book by the father of the Japanese Folk Art (Mingei) movement – Yanagi Sōetsu. The book is called “The Unknown Craftsman”. His philosophy is reminiscent of William Morris and his Arts & Crafts movement but embedded in Zen Buddhist roots, the book offers a remarkable perspective on the role of the craftsman in society. For a whole month I was really invested in what actually meant to possess freedom in your work. I still need to digest everything I saw, read and though about. I do feel however that a burden has been lifted and I’ve set myself to go on a more fulfilling path with my next works. My hand is freely sketching fresh ideas again. I guess the moral of this short story is if you ever find yourself creatively challenged, try not to panic and take a moment to listen to yourself. It probably won’t be long before you hear inside your mind what you needed to continue down your road. 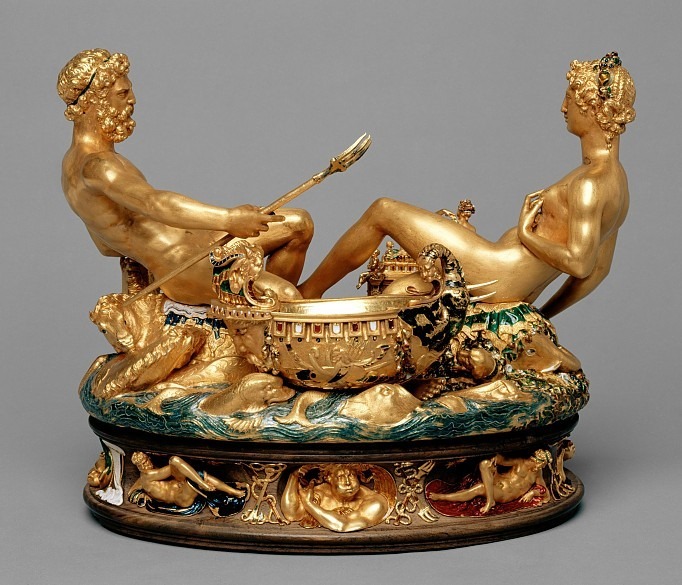 The next thing I’ll be reading will be The Treatises Of Benvenuto Cellini On Goldsmithing And Sculpture. A big conceptual jump from the humble and plain ideal of the Mingei pottery to to the heights of Renaissance decorative art. I hope I find some balance between the two. I so much enjoyed this story. Humble greatness! I’m very glad! Thank you for reading and following my work!